Even when standing still, the BMW 5 Series creates a powerful impression. Sporty and stylish for every occasion, its athletic appearance puts the BMW 5 Series Sedan ahead of the competition. The BMW 5 Series displays motorway dynamics and elegance in a perfect combination. It is therefore the ideal business sedan. In his article by Pfaff BMW in Mississauga, we will be talking about the benefits of owning a BMW 5 Series. 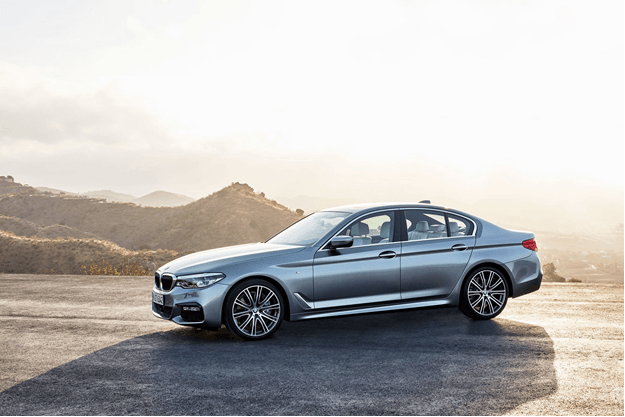 Thanks to BMW Efficient Lightweight design and the use of aluminium and high strength steels, the BMW 5 Series is up to 100 kgs lighter than its predecessor. Its newly designed chassis combined with a low centre of gravity gives the impression of a vehicle that is as sure of itself as it is daring. The marked increase in aerodynamics is evident in the design and drive feel, not to mention fuel economy. The business athlete is not for the faint hearted, and as every BMW 5 Series owner will tell you, it stands firmly apart in its segment. Driving the BMW 5 Series is less of a dream and more of a decision. The only thing left to do is make it. If you are considering the BMW 5 Series in Mississauga, then Pfaff BMW wants to work with you! Come into our dealership and take a BMW 5 Series out for a test drive. We are confident that you will be able to find the vehicle of your dreams with Pfaff BMW. Click here to find our contact information, schedule a test drive, or to fill out our contact form.